The tax treatment of California’s version of alimony, which we call Spousal Support, is changing dramatically. Right now, the spouse paying the spousal support is able to deduct it from his or her income, often significantly reducing taxes. This leaves more money to use within the family, and generally results in a higher payment to the supported spouse. In essence, it allows the family to take the tax savings and distribute it between the payor and payee. That ends on January 1, 2019. For any new spousal support order after that date, Spousal Support will no longer be tax deductible. The responsibility to pay tax on those dollars will remain with the person paying support, who is likely to be in a higher tax bracket that the recipient. This means that the payor will have less money to use for support and may mean the recipient would receive less support than under the current law. During 2018 a couple can negotiate a final judgment that includes a provision that spousal support will be tax deductible to the payor and includable in the income of the payee. If it is entered before January 1, 2019, it will be grandfathered in and remain in effect after that date. The new law also eliminates tax deductions for legal fees incurred with negotiating and litigating the issue of spousal support. Personal exemptions are eliminated. This means divorcing couple will no longer need to determine who will take the children as exemptions for tax purposes. However, the Child Tax Credit has doubled and it “follows” the exemption for the child. So, you may still want to negotiate to take the child as an exemption in order to use the Child Tax Credit. The standard deduction for single people has been doubled and will now be $12,000. For those filing as Head of Household the standard deduction will be $18,000. There will now be a much lower cap — $10,000 — on deductions for home mortgage interest, sales tax, property tax, and state income tax, combined. And, interest on home equity loans is no longer deductible at all. These are major changes and will impact many Californians. 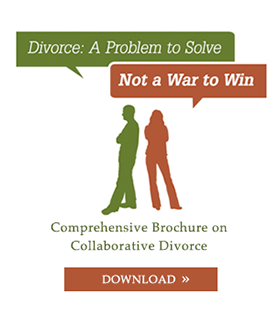 There are many tax issues involved in a divorce. This summary is not intended to provide tax or legal advice. As with any tax or legal question, consult a qualified advisor regarding your personal situation.